The Rebel Sweetheart. : The Mind Museum Keeps the Wonderment of Science in Summer. The Mind Museum Keeps the Wonderment of Science in Summer. The Mind Museum may be known for having galleries with interactive science exhibits, but not many know that it is also a place that offers unique and fun summer learning activities that tickle the scientist in each child. From simulated crime solving activities, to a behind-the-scenes look on being the museum’s ‘Mind Movers’, to learning about the science behind soccer, The Mind Museum can keep your eyes and minds widening in wonder. 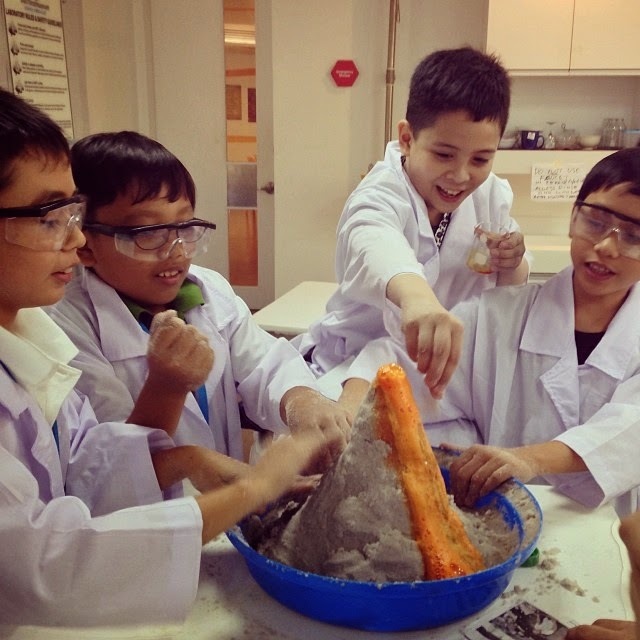 Known as the Philippines’ first world-class science museum, The Mind Museum continues to provide extraordinary learning and exploration to kids and kids-at-heart. This summer, The Mind Museum, with the help of JPMorgan Chase & Co., brought an array of activities that will make you appreciate and love learning even more. In the Crime Scene Investigation 101 (CSI 101) program, young inquisitive minds were tasked by the museum’s Mind Movers to examine a crime scene and figure out what could have possibly happened by doing evidence gathering, fingerprinting, odontology and blood splatter analysis. Kids even presented their cases to a panel of investigators, and winning participants were given badges as their award. It was truly an exciting experience for them to try their hands at solving cases and on being crime scene investigators. CSI 101; Shoe impressions as evidence. The Mind Museum also partnered with the scientists of the California Academy of Sciences and offered a Marine Science Camp to young wonderers. Held in Aiyanar Beach and Dive Resort, Anilao Batangas, adventurers gained a deeper appreciation for marine biodiversity through interactive activities including a “wet” show & tell of critters & corals, outdoor survival training with tents, sleeping bags and coolers facilitated by Coleman, and stargazing at night with the museum’s resident astronomer. Highlight was the snorkeling activity in the resort’s well-preserved house reef, and identifying the different forms of marine life that they learned about from the scientists of the Academy. Marine Science Camp outdoor challenge by Coleman. Meanwhile, other budding science prodigies were given the chance to be like the museum’s resident scientists or ‘Mind Movers’. Through the Junior Mind Mover (JMM) program, participants learned about the story of the museum and its galleries, and even performed experiments in front of museum guests. Through the program, they got to explore different fields of sciences in interactive and creative ways. For kids who both love sports and science, the Soccer Science Program was the perfect activity to enjoy. Held at The Mind Museum and BGC Turf, participants learned the physics behind this sport including the science of curve balls, soccer statistics and soccer anatomy to prevent injuries. 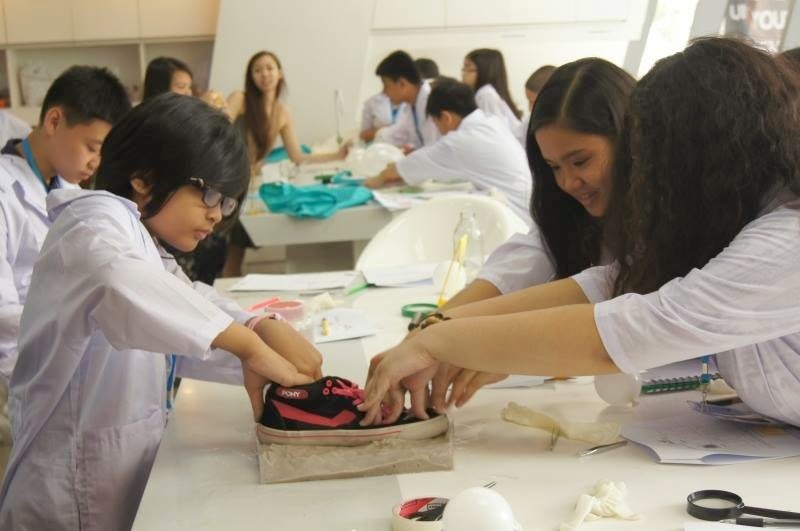 This program, made possible with the help of the Fort Bonifacio Development Foundation, Uratex and Mitre, had participants from a select group of sponsored Taguig public school kids, and soccer enthusiasts from all over Metro Manila. Even if summer is over, they can still expect a lot more mind-blowing educational programs. Watch out for exciting science parties or ‘MindBurst’ events such as the Experiment Circus - travel into the past towards the future of Physics; or take part in the Halloween Special: Myth-busting and Ghost-busting and discover what is this spookiness behind “ghost-busting” activities. For more details about the museum and continuous flow of events, visit The Mind Museum website at www.themindmuseum.org. That is really neat. It looks like a really fun time for kids. This is something my 13yr son would like to do.. He is all into things like this. Those sound like awesome programs. I would certainly send my kids to them. Kids really got to try some unique things. So much learning going on here! This is very nice! I love that there is a variety of activities for the body and the mind both. My favorite is that the kids can wear lab coats and pretend. That's the best when you are a child: imagination time! Looks like lots of fun for the kids! My son loves science too! That looks like a very fun experience for kids Plus its educational too. This definitely makes science easier to fathom that was it usually was for kids from the years of old (me!). Haha! The mind museum is one of my wish list trips for the family. :) Looks really fun and educational! We must use our GCs soon! Patok sa amin yung Crime Scene Investigation and Outdooe Challenge. I hope they still have these programs when Gwen is older.